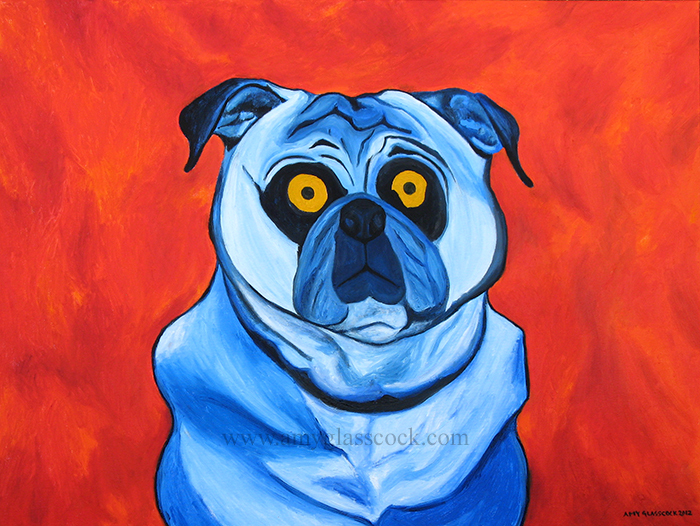 I just finished my latest comissioned pet portrait of pug named Fernie. 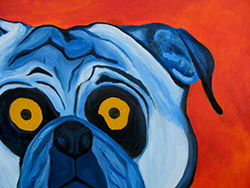 I painted it in primary colors, at the request of my customer. And I really love how it turned out. Someone is going to have a very Merry Christmas this year, though I think that this painting is a bit too big to fit under the tree. Oh well!! !